Do you need sour or sweet cherries for your recipe? 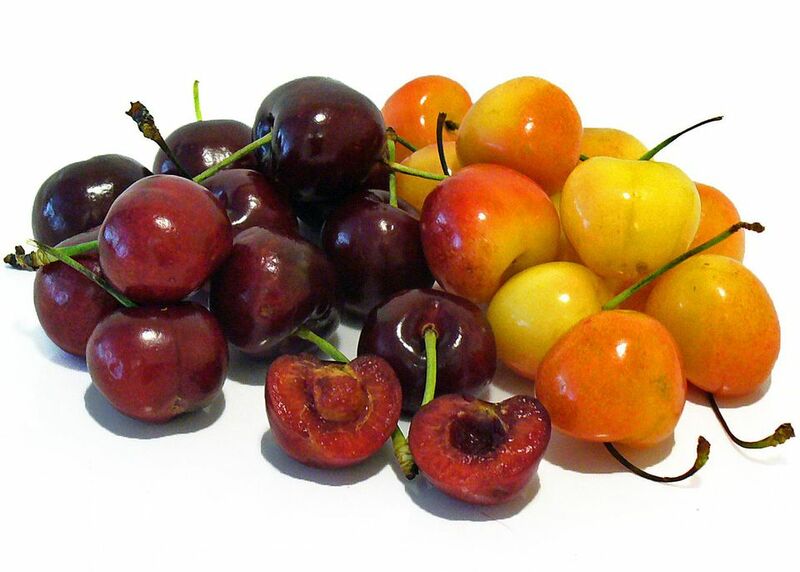 There are two general varieties of cherries: sweet and sour. The success of your recipe will depend on choosing the right variety. Fresh sweet cherries are available in the United States from May through August. Sour cherries begin ripening in June. Dried cherries are now available year-round and can be eaten as snacks or used in recipes like raisins. Usually eaten out of hand, sweet cherries are larger than sour cherries. They are heart-shaped and have sweet firm flesh. They range in color from golden red-blushed Royal Ann to dark red to purplish-black. Bing, Lambert, and Tartarian are other popular dark cherries. Sweet cherries also work well in cooked dishes. Normally too tart to eat raw, sour cherries are smaller than their sweet cousins and more globular in shape with softer flesh. The Early Richmond variety is the first available in late spring and is bright red in color, with the Montmorency soon following. The dark red Morello variety is another popular sour cherry. Sour cherries are normally cooked with sugar and used for pies, preserves, and relishes.